Glitter – check. A combination of very bright colours – check. A really cool space inspired name – check. If you missed my first lush review, fear not! 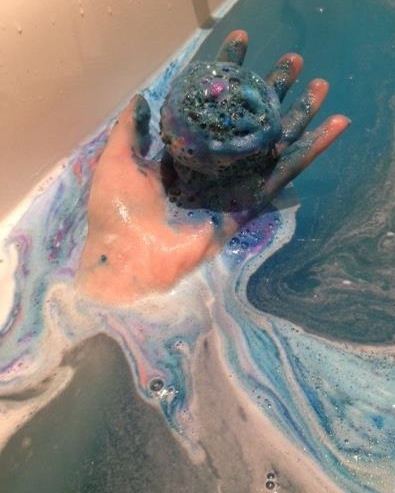 For part two of my Lush bath bomb trials, I put ‘Intergalactic’ to the test and you’ll be glad to hear that it’s completely worth the £3.95 retail price. Vegan friendly and against animal testing like all Lush products, Intergalactic is inspired by outer space – with the glitter representing the stars and the swirls the evolving galaxy. 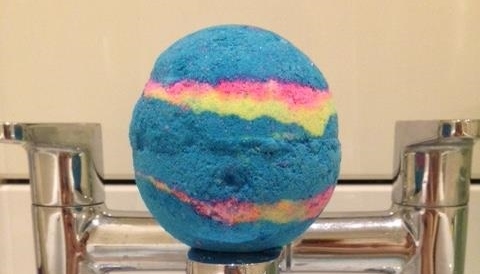 A fusion of peppermint and popping candy brings the bath to life in an unexpected way, while the revolving bath bomb quite literally turns into an orbiting galaxy! And if all of the above isn’t enough to sway you, then I’m sure the fresh ingredients used will, from peppermint to grapefruit, vetivert and cedarwood oils. Stay tuned for part three of my Lush bath bomb review series and I’d love to hear your advice on different Lush products to trial! Follow my Blog, Twitter and Instagram to see more posts like this.